What it’s about: A librarian writes love letters (and some break up ones) to all the books she has loved. What made me pick it up: List of books, written by a librarian? It was a no-brainer. My favorite things: This book is hilarious, even if you don’t get all the library work references. But they did make it even more enjoyable for me. I’ve recommended it to all my coworkers and library working friends. It’ll make you remember all those books you love, or at least used to love, and why and maybe reminisce or pick them back up and read them again. While it did remind me a little of other books about books, most notably those by Will Schwalbe, the repeated doses of levity helped this one rise above the rest. She’s not trying to change your life, she’s just someone who wants to talk about the books she loves/hates. So get a glass of wine and enjoy this book chat from your new author bestie. Who it’s great for: Readers of every variety. Librarians. Find this book in your local library, or if the holds lists are too long, on Amazon (affiliate link). What it’s about: A sweet Christmas tale about a recovering heroin addict getting his life back together with the help of his feline pal. James let’s you see him struggle through the holiday season to find meaning and realize how great his life really is. What made me pick it up: I am a devout follower of James and Bob’s inspiring tale. I’ve read previous books A Street Cat Named Bob and The World According to Bob and recommend them. When I saw this I (eventually) got myself a copy. My favorite things: I enjoyed the reminder that it’s not how much you have but who you have in your life that makes it great, especially during the holiday season. It also has a strong thread of giving is better than getting, which I appreciated. 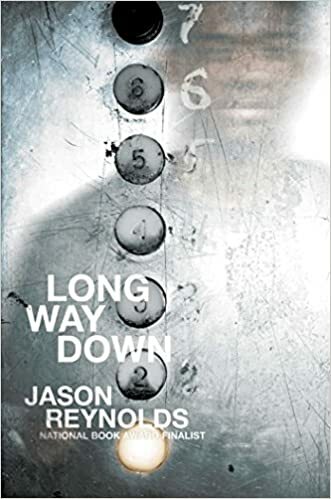 Mostly, James has a way of telling his story so you root for him to keep holding it together after all he has overcome, and hope the same for other addicts and recovering addicts everywhere. Who it’s great for: Readers interested in a heart warming tale. Cat fans. Anyone who has ever had a pet that chose them. What it’s about: A boy with autism and his mom whose lives are changed after a stray cat joins their home. What made me pick it up: It has a cute kitten on the cover. It had to do with Christmas. That was enough, but then I found it in the autism section and not the cat section and I was even more intrigued. My favorite things: This story is so touching. A child who was lost inside was brought out by a cat and his mother’s determination. Animal stories get me sobbing every time. Animal and family stories doubly so. It will make you want to call your mom and thank her for everything she has ever done for you. Who it’s great for: Families with members who have autism. Cat lovers. Anyone who enjoys stories about holiday hope. What it’s about: A picture book about a young girl who wants to design and build a great thing she has imagined. What made me pick it up: It was featured on OverDrive so I checked it out. My favorite things: I really liked the message of tenacity in this book. Know what happens after she builds her first great thing? She hates it. It’s all wrong. But she keeps trying, even when she wants to quit, until the thing is to her liking. And she does it all without help – for her emotional regulation or for her ability to complete a task. She can do it by herself, thank you very much. She is no damsel in distress. Who it’s great for: Young inventors. Hardheaded littles determined to do things their way, especially girls.